Fiber Switch is a high-speed network transmission relay device that USES Fiber optic cables as the transmission medium compared to conventional switches.The advantages of optical fiber transmission are fast speed and strong anti-interference ability.Fiber switch features and functions. 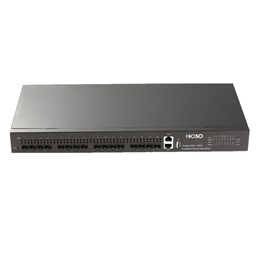 It is characterized by the use of high transmission rate fiber channel and server network, or SAN network internal components of the connection, so that the entire storage network has a very wide bandwidth, providing a guarantee for high-performance data storage.The key element in this SAN storage network is the fiber switch we hear about all the time.Because this is a new type of device, and because there are so many differences from the Ethernet switches we see and use, primarily in protocol support, many readers, even enterprise users who already use SAN storage networks, have only a partial understanding of SAN switches.To this end, this article will focus on what you need to pay attention to when purchasing SAN switches, which is to introduce the main characteristics of SAN switches.Let's first briefly understand the origin of SAN switches, so that we can deepen our understanding of SAN switches and no longer be full of mystery. 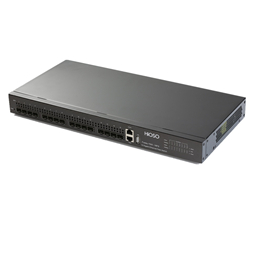 Fiber switch is a high performance managed layer 2 fiber Ethernet access switch.Users can choose all-optical port configuration or photoelectric port hybrid configuration, access to the fiber media can choose single-mode fiber or multi-mode fiber.The switch can support both network remote management and local management to monitor the working state of ports and set up the switch.